The story that goes with this one happened in my own back yard. These two bands met in Philadelphia, specifically at Kung Fu Necktie in 2012. Given their musical similarities they both stayed in touch over time. Now almost two years later, the end result is this new digital single from the Self Group. 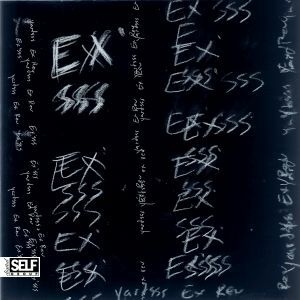 “Ex’sss” unfolds slowly and deliberately; it’s a monumental affair that evolves again and again in just under 8-minutes time. The track goes through a series of phases, each one drenched with attitude and purpose that flows over everything like a thick blanket of cosmic vapor. The track begins with pulsating electronics, including an array of sounds from computerized bleep-bloops, rippling waves and wind-like shrills. Suddenly a hypnotizing beat seals it all into place, locking you into a subtle yet tantalizing groove. The track begins to flesh out from here – percussion becomes thicker and the oozing guitar fuzz takes firm hold. Mesmerizing to say the absolute least, the track presses on with these stormy qualities, swallowing us whole into an ocean of palpable texture. As we drift through space we encounter glowing synthesizers, harmonizing with everything to create a crushing finale. Get your full 8-minute dose of colorful space rock right now! Posted on July 30, 2014 July 30, 2014 by styrofoamdronePosted in ReviewsTagged electronic, Ex Rev, Ex'sss, experimental, instrumental, Self Group, space rock, Yardsss.